The future of European science funding is one of many matters thrown into confusion after Thursday’s Brexit vote, but the UK government has moved to calm concerns and says money will continue while relations with Europe are resolved. The EU’s research programme Horizon 2020 makes available 80 billion euros, in addition to any private investment attracted, for European R&D projects. Many pharma and life science projects have been funded by Horizon 2020 through the Innovative Medicines Initiative, a public-private partnership between the European Commission and industry. In a statement, Jo Johnson, minister for Universities and Science, said UK participants can continue to apply for the programme in the usual way. “The referendum result has no immediate effect on those applying to or participating in Horizon 2020,” he said. 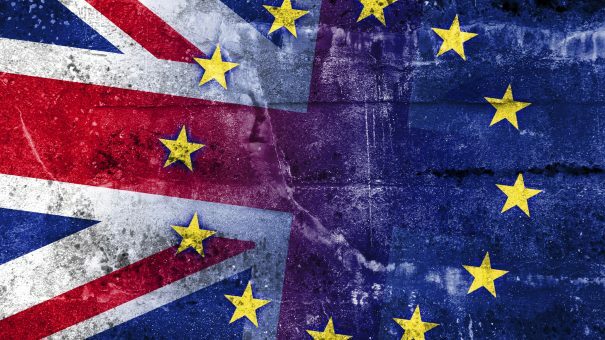 However the future of UK access to European science funding “will be a matter for future discussions,” according to a statement. Jo Johnson is the younger brother of Boris Johnson, who led the Leave campaign to victory, but Jo was firmly in the Remain camp. Minister Johnson is to give a briefing on the future of UK science and innovation later this week, and stressed that the UK would continues to play a leading role in European and international research. He has reiterated that there will be no “immediate changes” following the referendum in circumstances of British citizens living in the EU, and European citizens living here. This includes people studying or working at UK universities. This clarification has been necessary as many EU nationals have reported feeling unwelcome in the UK after the vote, in which fears about uncontrolled immigration was a leading issue. The last few days have seen a very sudden and worrying rise in reported xenophobic and race-related incidents, which all politicians have condemned. But the pharma industry is concerned about the uncertainties caused by Brexit. Richard Bergstrom, director general of the European Federation of Pharmaceutical Industries and Associations (EFPIA) told pharmaphorum that he is concerned about the impact of Brexit on EU-funded pharma projects and would hinder collaborative R&D projects. Rickwood noted that loss of EU funding from Horizon 2020 and IMI was a concern, adding that Switzerland’s eligibility was restricted after its negative vote on mass immigration in 2014. She added that although any future system would be likely to prioritise the skilled individuals who work in pharma, there is inevitably wider concern about restricting freedom of movement and immigration. At present, she noted, it is the uncertainty about the eventual agreement has the most potential to damage. Another issue affecting the scientific community could be barriers to collaboration, data sharing, infrastructures and public-private partnerships.